Ashley from Domestic Imperfection has done something that has been on my “I want to try this” list for quite some time–make a design on furniture using different shades of wood stain. 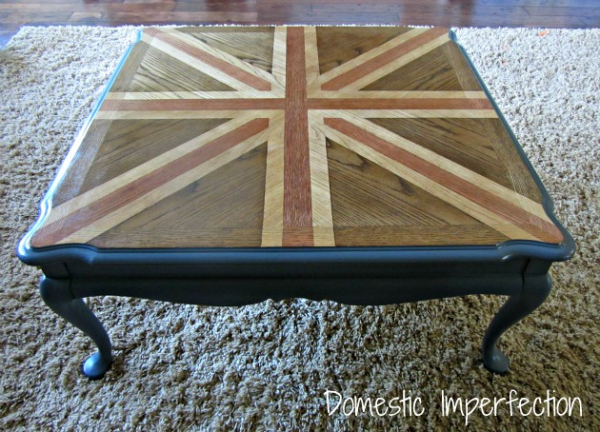 Ashley used this process to make an Union Jack coffee table, and the results are amazing! Makes me want to rush right out and find a piece of furniture to try this on. I love a great painted design on furniture, but there’s just something about this staining technique that seems to take it up a notch…make it look a bit more high-end, don’t you think? To get the step-by-step info in this project, head over to Domestic Imperfection. 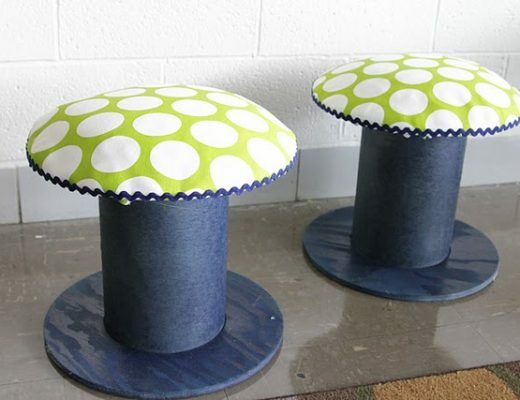 That is an awesome table. I had a coffee table years ago that we inheriented from my in-laws. 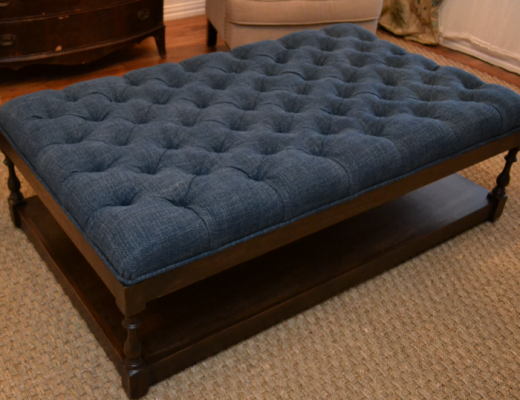 We stained it a darker color (it was oak), but it never occurred to me to make it as cool as Ashley’s. 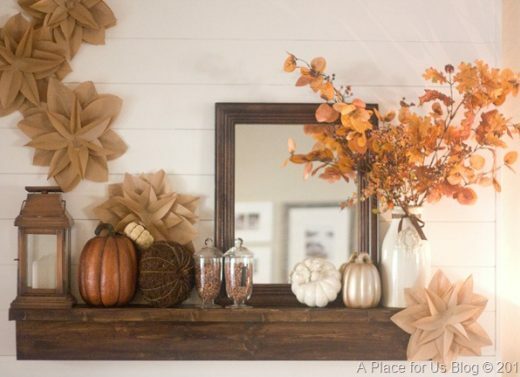 If you need a DIY break, I would love if you hopped over to my blog. I posted some info on where to find fun in your own city. That looks gorgeous! Like super complicated wood-inlay. YES! That’s the word I was looking for. Inlay! I’ve been trying to think of that word ever since I posted this…LOL. Wood inlay. That’s exactly what this looks like. I love this coffee table. Fantastic table and definitely looks top notch. Tea party anyone! ?